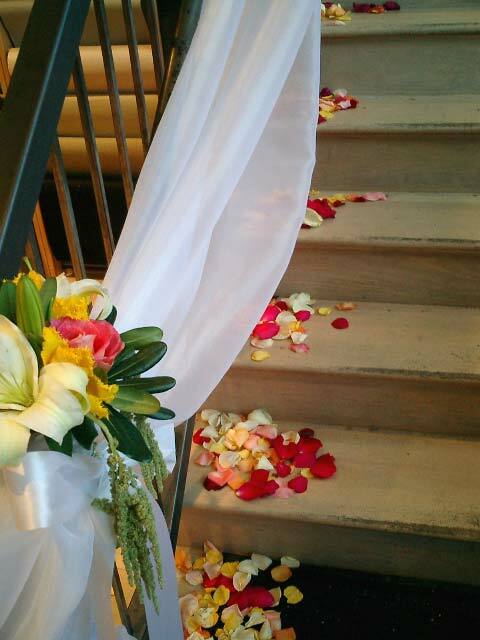 Since 2005, our love affair with brides and grooms hasn’t lost its first blush of excitement! 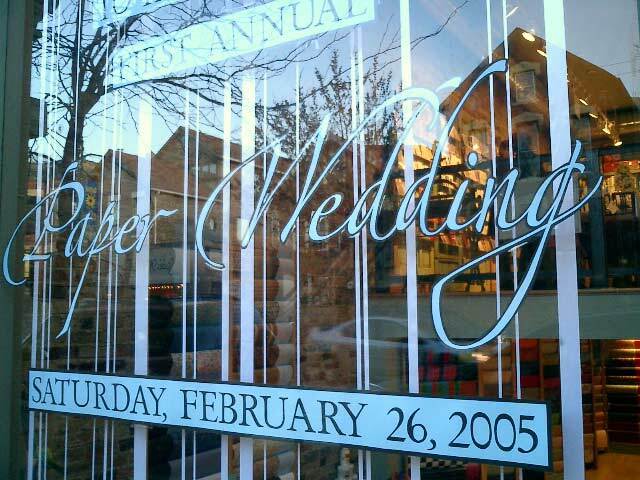 Year after year we continued to expand on Paper Wedding, and as of last year the event is hosted by all 32 stores! Back in the day, our multi-talented National Manager of Invitations, Betsy Campbell (seen above in the black), oversaw the whole “shebang”! And let me tell you, these were some impressive shoes to fill when it came to taking on the task of expanding this fete to all of our stores. I love now that what began as a small slice of opportunity has grown into the signature debut of our new Wedding Invitation Collection! 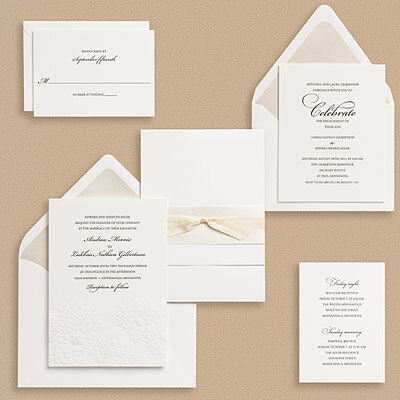 Granted I am biased, but the 2010 Paper Source Wedding Invitation Collection is more amazing than ever! 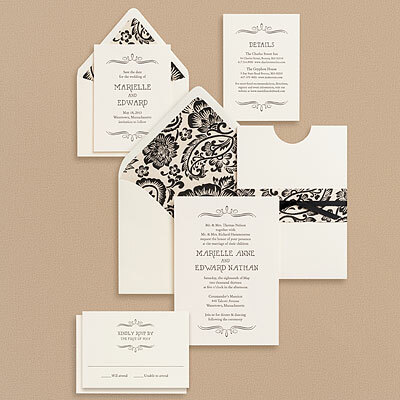 Our design and invitation teams have created extraordinary invitation suites that any couple would feel proud to send. If you’re looking for DIY wedding invitations with luscious layering, dramatic details, and a full array of papers, rubber stamps, and ink colors to create a wedding ensemble every bride dreams of for her big day, then we are the destination. P.S. 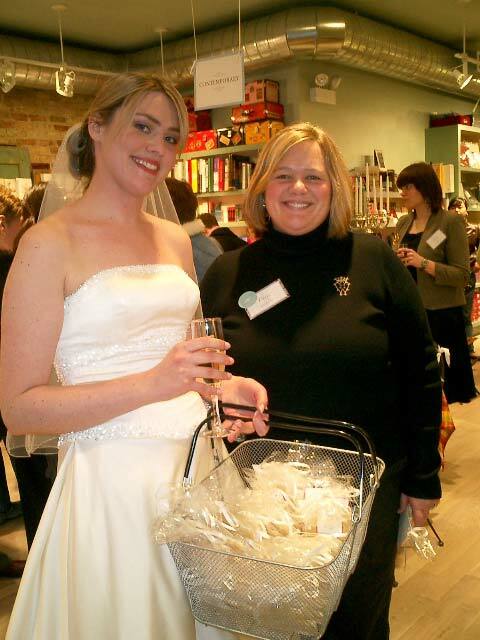 If you can’t join us this weekend or want more wedding inspiration, sign up for our Wedding Suites Workshop taking place Thursday, March 4.
i’ve got all my paper for my wedding from the paper-source in kansas city. the employees there are FULL of insipiration and great ideas! I am a wedding photographer near Boston, MA and the wonderful folks at Paper Source in Wellesley, MA helped me design my chic wedding brochure. Clients always comment on how beautiful it is. 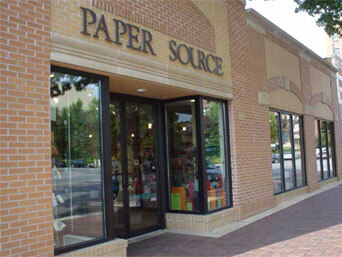 Thanks Paper Source! My first (and only) visit to PS was in Wellesley, MA! I spent over an hour just browsing and sighing – I was in heaven. 🙂 Came away with LOTS of goodies to play with here in Texas! I’m so glad I found your blog today. WOW! What a wonderful opportunity to hear such high praises from across the country! Aren’t our store staff the best! I hope you all come back to visit the site and stores soon. Keep us on your “favorites” tab as a way to stay in touch with all of the great HOW TO’s and inspirational ideas we feature here every week. We also host a crafting type Event in the stores every month — as well as 3 workshops — so if you are looking for other ways to be creative stop by or visit our workshop page for updated listings of classes. Thanks again for the praises, we’ll pass them along to the teams as well, who always appreciate a nice word!